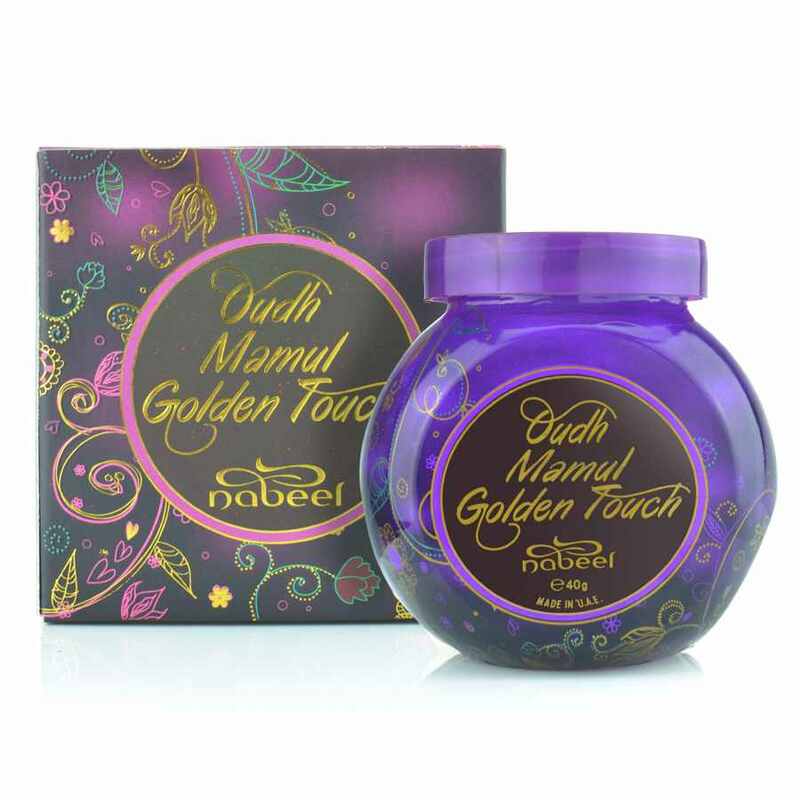 Nabeel's newest creation, Oudh Mamul Golden Touch, 40gm of wood chips doused in fascinating fragrance oil packed a colorful glass jar. Makes a wonderful gift or for your own incense pleasure. Al-Rashad's favorite. If you are looking to find your favourite perfume at a fraction of the cost , this is the site! I have been amazed at the quality of the oil and sprays.I liked Oudh Mamul so much. Wonderful scent! I keep a supply in my home at all times!